Defendant, Garry Lee Nance appealed a revocation of his probation and order that he serve the remainder of his time in prison. The State disagreed, asking that Nance be kept in prison. The Tennessee Court of Criminal Appeals sided with the State and affirmed Judge Rebecca Stern's ruling. In May of 2008, the defendant pled guilty to aggravated burglary, vandalism and theft of property in Criminal Court in Hamilton County. Defendant received a four-year sentence with 11 months and 29 days to be served in confinement and the rest on probation. In August 2011, a probation violation was found to have occurred after Nance was arrested in Roane County, Tennessee for theft and possession of drug paraphernalia. Moreover, he was found to have failed to work at a lawful occupation, failed to inform his probation officer about a change of residence, failed to pay court costs and restitution and was generally uncooperative once released from prison. A hearing was held to determine whether defendant’s probation would be revoked. Nance’s probation officer, Mindy White, testified that Nance had been as difficult as described. His employment was “spotty at best” and she had a very hard time keeping track of him, having had three instances where she went to check in on Nance only to find out he had moved. For his part, Nance admitted to a recent pill addiction but claimed always to have kept Ms. White informed as to his whereabouts. As far as his late or nonexistent payments Nance claims he paid what he could pay when he could pay it. The Court was unconvinced and revoked Nance’s probation and sentenced him to serve the remainder of his time in custody. Nance now contends that this decision was in error because the court did not consider the principles of sentencing. 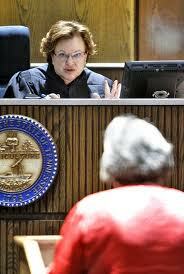 Nance further argues the court erred by not considering other options besides revocation. The Court of Criminal Appeals stated that a trial court may revoke probation upon finding by a preponderance of the evidence that the defendant violated the terms of his release. A trial court doesn’t need proof beyond a reasonable doubt, only evidence showing that a conscientious judgment was made. Nance himself admitted to having been convicted of new crimes and to engaging in illegal drug use. He admitted to failing to pay restitution and to committing a number of technical violations regarding his probation. The trial court had no obligation to consider the principles of sentencing or other options before making its decision to revoke probation. The Court of Criminal Appeals held that because there was no evidence that the trial court decided the matter arbitrarily, the revocation order should stand. Lee Davis is a lawyer at Davis & Hoss, PC and practices criminal law throughout Tennessee.